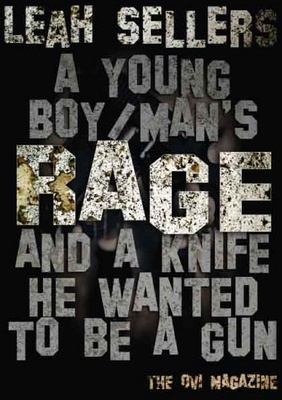 When I read Leah Sellers’ story “A Young Boy/Man’s Rage, and A Knife He Wanted to Be a Gun” even though the news from the shooting in Connecticut were still everywhere I went through a series of feelings including sorrow, anger, sadness and even denial. But things like that happen. And reading about these events in the other side of the Atlantic puts a distance but it is an illusion. Because things like that happen here, only a couple of years ago we had a similar shooting incident in a school; actually shooting incidents in schools happen everywhere and that’s terrifying. We must, we have to do something about those shooting and the first thing we have to do is inform, educate and control guns not doing new laws that don’t stop the use of them but exclude them from out lives totally. And while I was writing this I got a news report from California, USA that another shooting incident happened with a young man, a student carrying enough ammunition to kill many people. Thankfully a teacher talked him out of it leaving one pupil injured at Taft Union High School. The teacher, who had been grazed by a pellet, then intervened. He is reported by US media to have warned the suspect that there would be no shooting in his class, at which point the gunman put down his weapon and police officers arrested him. Leah Sellers talks about a similar incident and she talks from the teacher’s side. Somebody who has gone through the feelings, because the feelings are what makes an insider, and can describe acts and reactions. Read this story. If possible read it to young adults or give it to them to read it. A hard lesson to learn and a wish to never happen again! When we published David Sparenberg’s book “Life In The Age Of Extinctions,” in early December we promised that with the new year we are planning to publish more books and if possible more often covering a variety interests. This is our aim and soon you will see more books in the Ovi shelves . Today we have two new books, Leah Sellers’ “A Young Boy/Man’s Rage, and A Knife He Wanted to Be a Gun” and a book with a cartoon-strip Asa and I created a few years ago and publish in the pages of Ovi magazine. The character in the series 2nd opinion is inspired from a real character we met professionally a few years ago and even though he insisted to be the most anti-racist, anti-prejudice person in the worlds he could insult you in the most prejudice and racist way possible. I remember one day this character said to Asa and me – an Englishman and a Greek – that if Hitler had won the war nowadays we would all drive …Mercedes Benz and he …loves to have a Mercedes Benz! So, check Ovi's bookshelves HERE and we are sure you will find things you like! This is a book bound to enhance the current public debate on gun, violence, and mental health control in the US and elsewhere and help in the correct diagnosis and the prognosis of what happened in Connecticut only a few weeks ago. Thank you for writing it Leah. Thank you for publishing and promoting it Thanos. Your editorial comment is quite insightful: it powerfully implies that it is woefully inadequate to analyze an intricate social problem under the cool light of reason and simply stop there deluding oneself that one has found a theoretical solution; what is urgently needed is to humanize the problem with feelings and personal experience (“ I feel therefore I am” as Rousseau aptly quipped against Descartes) and convert theory into practical action. This book will surely promote and encourage that holistic approach. Congratulations to author, editor and Ovi team. 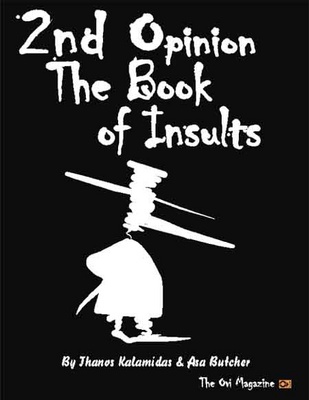 Congratulations also, Thanos and Asa, for your book “Second Opinion.” Sometime satire works much better than philosophical analysis in exposing schizophrenic fallacies, delusions and self-deceptions, while also entertaining by interjecting humor. Thanks for that too.